Do you know that feeling when you want to access IMM web interface, but you end up entering wrong password over and over again? The feel of anger which fills you up, moment when you want to go and put that server to rest? Well, that moment had happened to me this morning. I was assigned a task to check the IMMs on a couple of servers, and to remove users which are not suppose to be there. 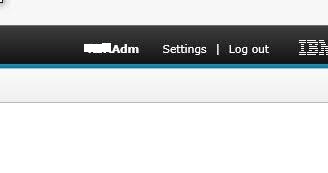 I have had Admin account, so I have tried to access IMM on one of the servers. But, I couldn’t as it was giving me wrong user name and password message. Make sure you click on “Show supported systems” and check if your system is listed there. After you have downloaded ASU files, copy it to server. I am using C:\temp folder as a container. I will reset the password for RSAAdm, as this is mine Supervisor account (Admin account). The result will be command completed successfully, and the new password is set. Now, lets try to login to IMM by using new password, which we had set just now. And success 🙂 I am logged into IMM. But, sometimes it happens that even though I run the command to change the password, for some reason, I am still not able to access the IMM, no matter if I receive the successful message that password has been update. In this case, it would be best to just create a new user, and login into IMM by using the new user. 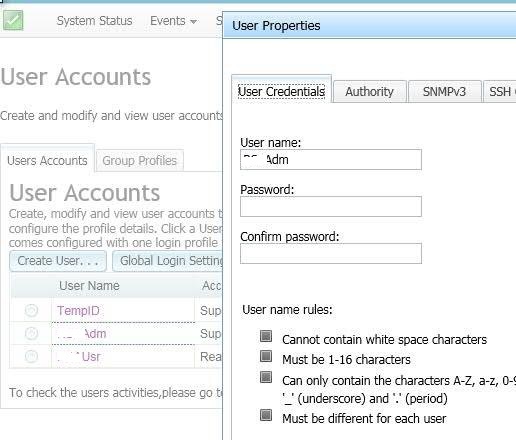 When you are logged, you can then change the password for your regular user account, check if you can login with your regular user account after you changed the password in IMM. If you are able to login afterwards, then delete the temporary user account and that is it. To create a new user account, you have to use LoginID which is not currently occupied by any of your regular user accounts. In my case, I will use LoginID.1 in order to create a new user. Lets try now to connect to IMM by using our temporary TempID account. Use blank password to access. And don’t forget that User Name is case sensitive. Now you could go and change the password of your regular user account by clicking on the account. New window will pop up. After you have changed password for your regular admin account, log out with temporary account, login with your regular admin account, verify that you could access IMM, and then you can delete the temporary account. That is it folks. I hope that it will help you.